Enterprise networks are typically complex, incorporating potentially hundreds of devices and connections to service the company’s entire infrastructure. With so many devices operating on a network at one time, the challenge for network teams is keeping each one functional and performing optimally. However, the more expansive a network, the harder it is for IT professionals to keep track of everything. 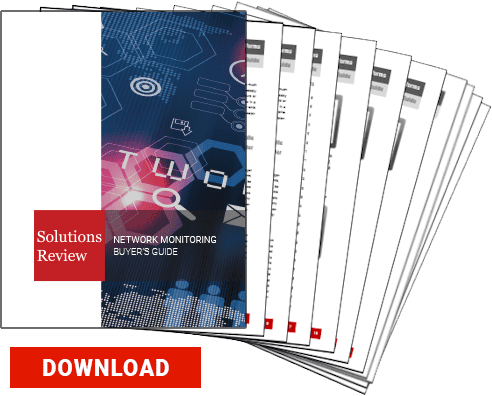 Network device monitoring is a vital function for any enterprise, but how can a team monitor every device on their network? Network performance monitoring (NPM) tools can help address the issue. NPM solutions continuously observe every part of the network, including all nodes and the connections between them. They examine the network’s overall performance by analyzing the operation of each device and interpreting where performance problems are. Then, they alert the network team to any issues and recommend (and sometimes take) corrective action. For device monitoring, an NPM tool is an invaluable resource. No matter what tools your enterprise uses, however, keeping an eye on your network hardware is important. To see how network device monitoring works and why it’s important, we’ve outlined the basics on how to evaluate the performance of every piece of hardware connected to your network. What devices can you monitor? It’s likely that your network has several kinds of devices connected to it. They probably all come from different vendors and perform various functions for your enterprise. Is it possible for one solution to detect and monitor every single one? While your mileage may vary, NPM tools are equipped to find and observe several kinds of devices from multiple vendors. NPM providers realize that most enterprises install different types of devices on their network and that not every company’s network infrastructure looks the same. Therefore, they design their NPM to be compatible a large spectrum of devices. This ensures that your entire network can be monitored without fear of a device being left in the dark. Network-essential hardware. This consists of hardware that your enterprise has installed in order to build or expand the network. Devices such as routers, switches, bridges, and access points fall under this category. Connected devices. This includes devices that are able to connect to a network but that aren’t a part of the network infrastructure. Computers, phones, and smart devices are all examples of this category. How do you monitor devices? The number one thing you need to know is whether or not a device is currently functional and available for the network to use. If a node doesn’t respond to the NPM’s inquiries into its current status, it can investigate the device. From the investigation, it will learn if the device is down or needs repair. Even if a device is operating, that doesn’t guarantee that it is in perfect shape. Several factors can impact a device’s health, and if device health problems aren’t detected early, it might become a huge problem later on. Security threats, such as malware and viruses, can damage vital parts of your network. By looking for harmful actors hiding on or travelling along the network, NPMs can alert your team to security breaches and take corrective action to eliminate the threat. Beyond operational and security information, an NPM can also examine for specific information related to a device’s function. For example, computers and devices connected to the network can be examined for their CPU usage. Device failure: what happens when your hardware goes down? With so many devices connected to your network at one time, it can sometimes be impossible to keep every single device running at peak level. An NPM tool automatically tracks device performance and notifies the users of problems. Ultimately, however, embracing proactive network monitoring practices is the best way to maintain your network’s uptime. For example, if a device on your network – either a piece of network hardware or a node connected to it – goes down, your network team needs to know immediately. If the failure is sudden, the NPM should alert users as soon as it discovers it. NPMs can also predict potential device failures based on performance records. If a device’s performance keeps dropping, it tells the NPM that the device is heading towards total failure. That can inform the enterprise that they need to reconfigure or replace the device before it fails. One feature of NPMs that can help companies with network device monitoring is network topology. NPMs continuously scan the network to maintain constant visibility. Based on its scans, it draws a network map to give a visual abstraction of the network at large. This feature allows network teams to visualize the scale and design of the network and every device on it. It also allows them to easily see any devices that aren’t performing optimally, since that information is also visually displayed on the map. Smart device monitoring: the future of network monitoring? Several technological innovations have come out in the past few years; one that’s gained a high profile is the Internet of Things (IoT). IoT comprises of smart devices – or devices that can connect to the Internet – that go beyond typical network and computing devices. 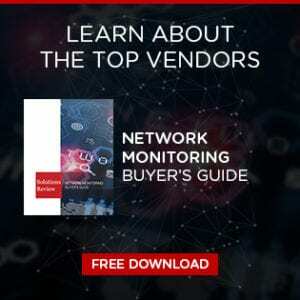 As more kinds of devices become connected, network device monitoring must grow to accommodate them. Some NPMs can monitor specific smart devices already. For example, an NPM may be able to detect an IoT-friendly printer and detect their ink and toner levels. Applications like that indicate a shift in network device monitoring. The more devices designed to connect to the Internet, the more the needs of monitoring solutions increases. NPMs are fully equipped to monitor traditional network hardware, but the world of connectivity is always growing. 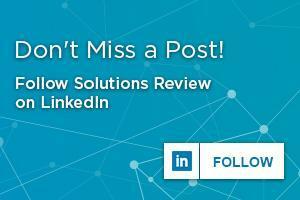 They need to be prepared for the future of networking just as much as its present state.